to ensure you get quality plants at the best price. 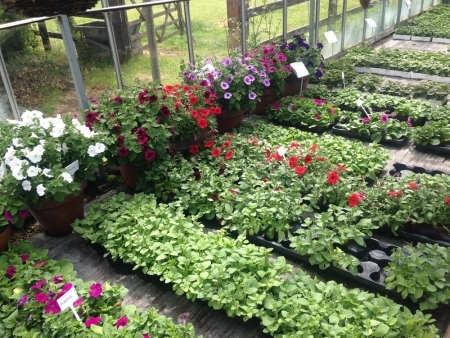 By growing most of our garden bedding plants in our poly tunnels in Woolpit, we are able to focus on producing the finest quality garden plants at affordable prices for our customers. 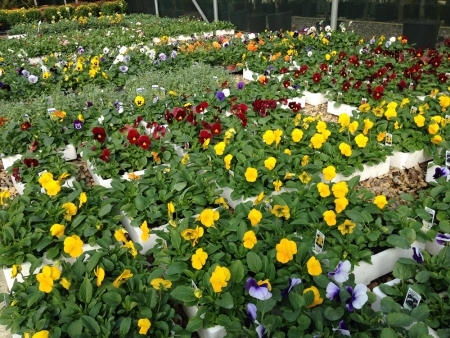 We always using professional composts and providing the best growing environment with over an acre of growing greenhouses, half an acre of outside growing space and a large net sided poly tunnel. 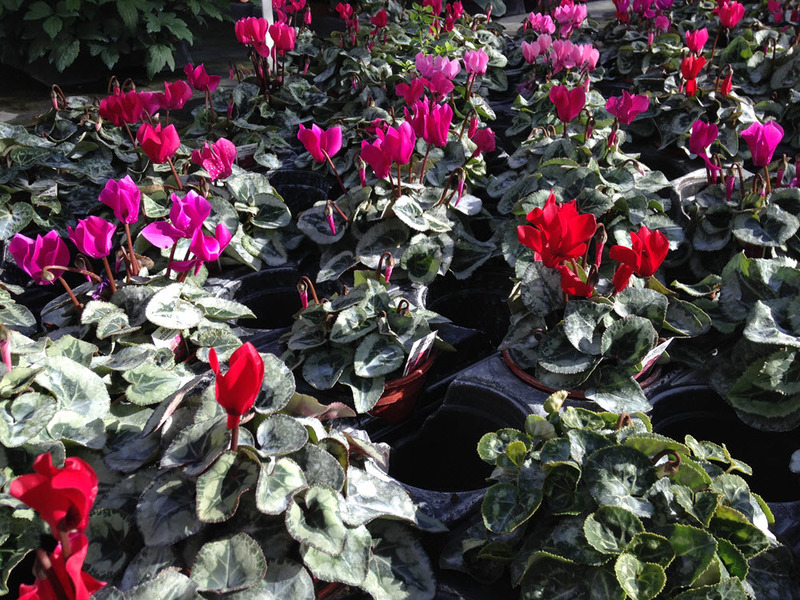 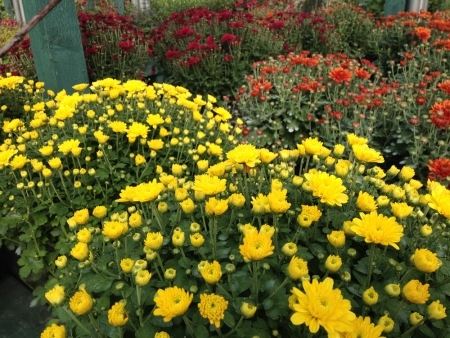 We offer a large range of seasonal bedding plants, including all the favourites for garden bedding. 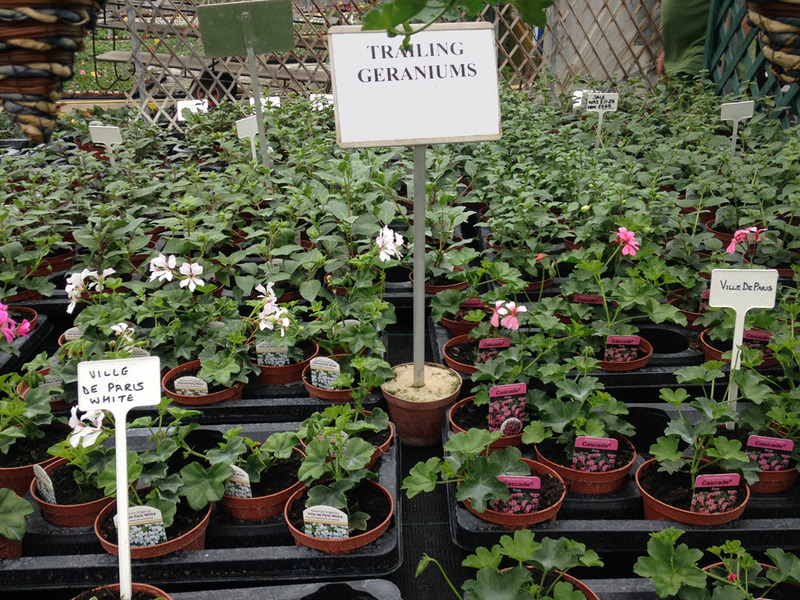 Plants for every garden, whether to plant in beds or perfect for hanging baskets and containers. 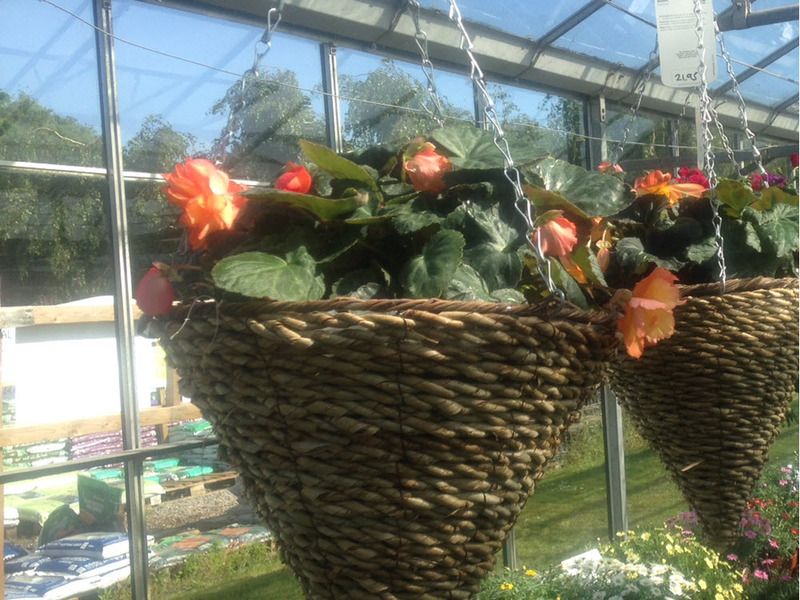 And also ‘ready to go pre-planted hanging baskets and containers for an ‘instant garden’. 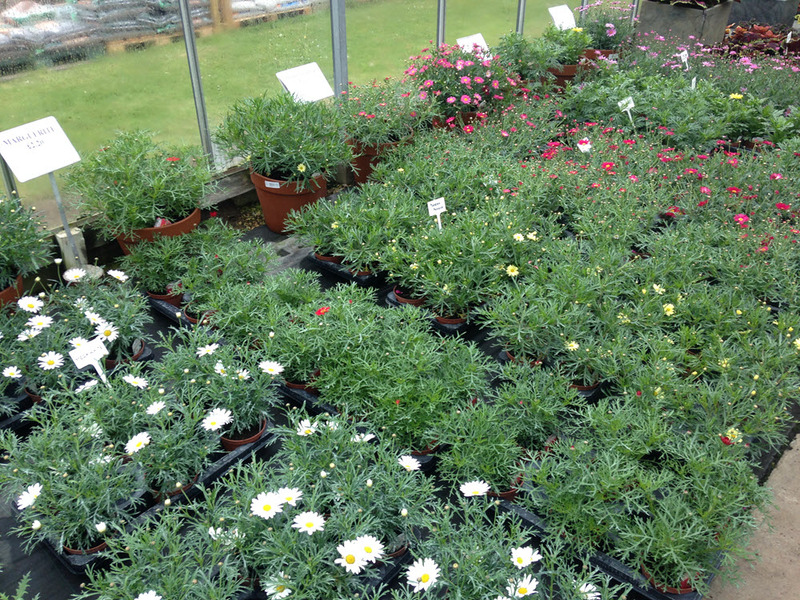 Our bedding plants include frost tender half hardy annuals such as Cosmos, Tobacco plants and Nemesia. Hardy annuals such as Alyssum, Calendula and Iberis. Hardy biennials such as Hollyhocks, Dianthus, Erysimum and Ornamental brassicas. 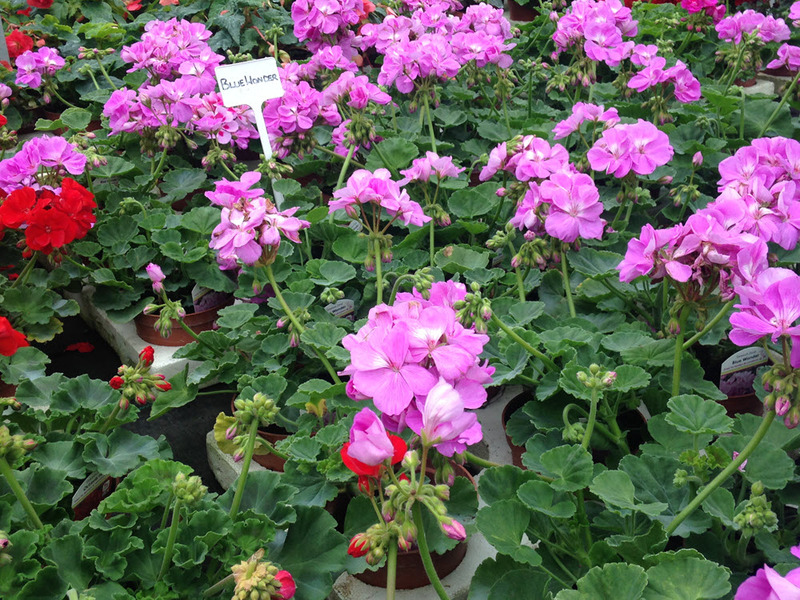 Half hardy perennials such as Bellis, New Guinea Impatiens, Begonia, Pelargonium, Lobelia. 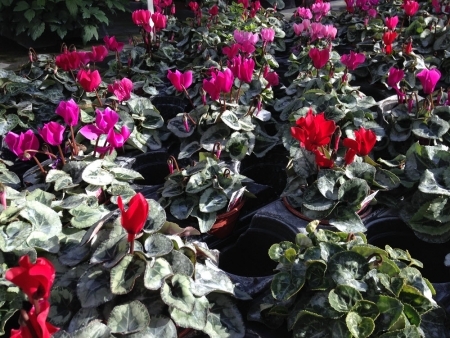 Half hardy plants such as Cannas, Palms, Banana plants. 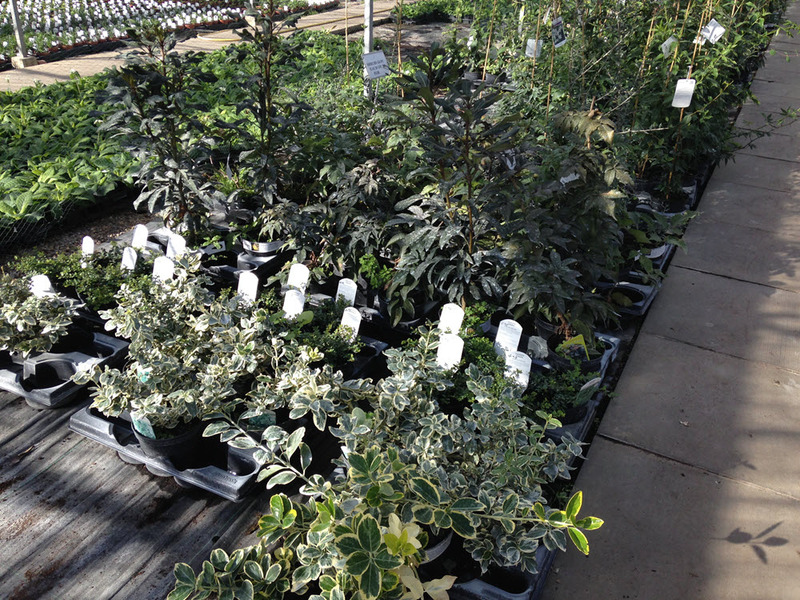 And hardy perennials for all year round colour such as Erica, Euphorbia and Heuchera, Algave, Dwarf Conifers, Cordylines, Phorium and ornamental grasses. 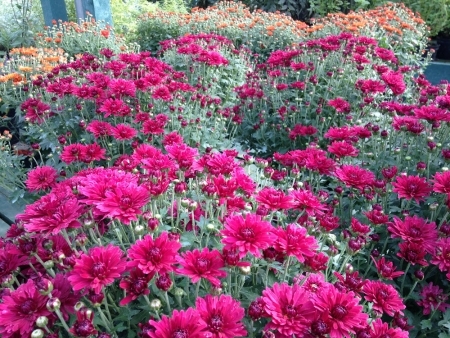 Came up this morning in the rain. 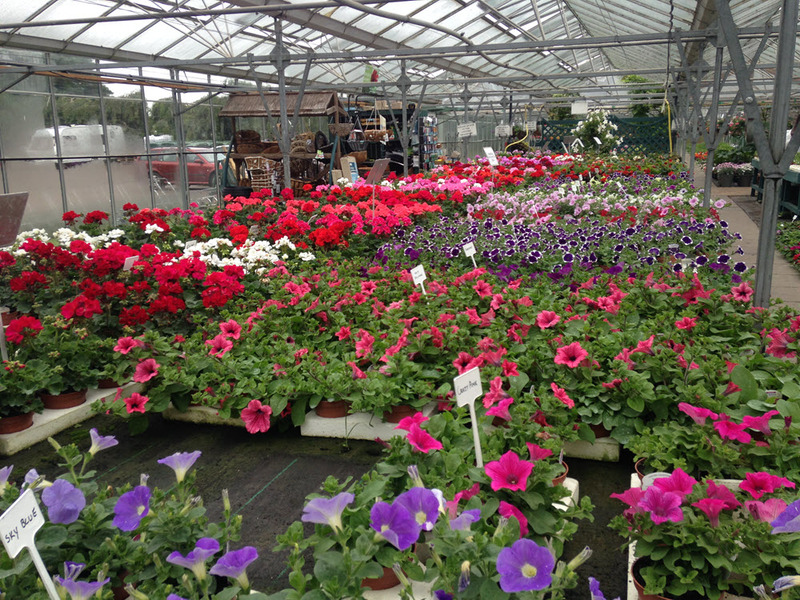 Such a beautiful nursery with so much choice. My garden loves you. 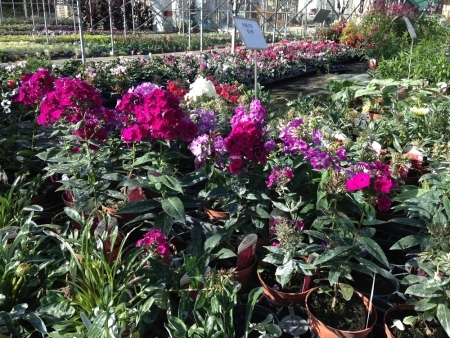 A Glimpse around the Garden Bedding Plants in May 2018. 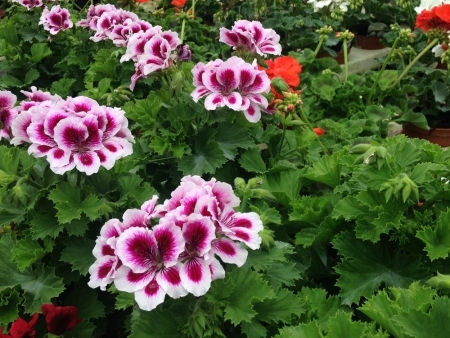 Looking for a specific plant? 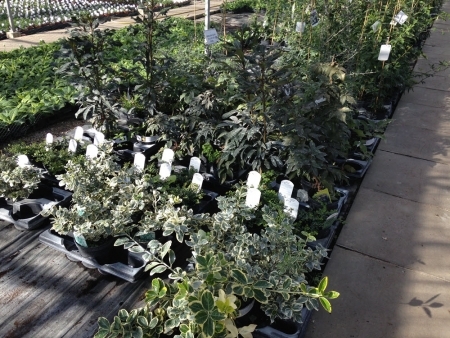 If we haven't got the plants you want for your garden, we are happy to source them for our customers. 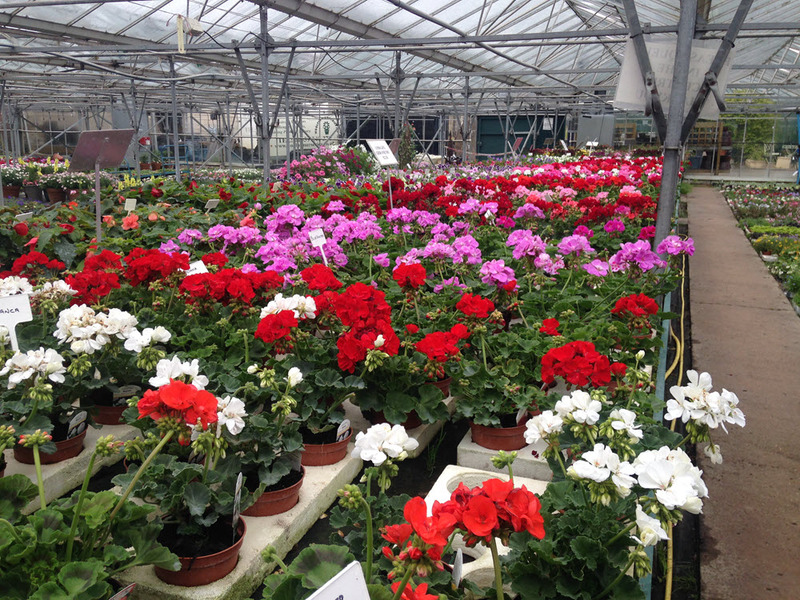 We take lots of photos around the plant nursery during the next year and often post on social media. 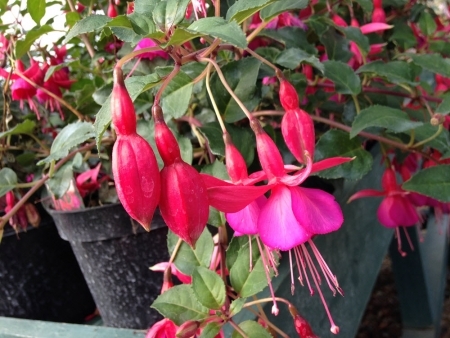 So keep looking to see new pictures on the website and on our Twitter, Facebook and Google+ pages.